Eileen swings her legs off the bed, wobbles upright. she maintains in the hospital car park. in a taxi. Two weeks parole for good behaviour. the red stoplight of her cigarette. From the collection Everything Must Go which can be bought from this website. 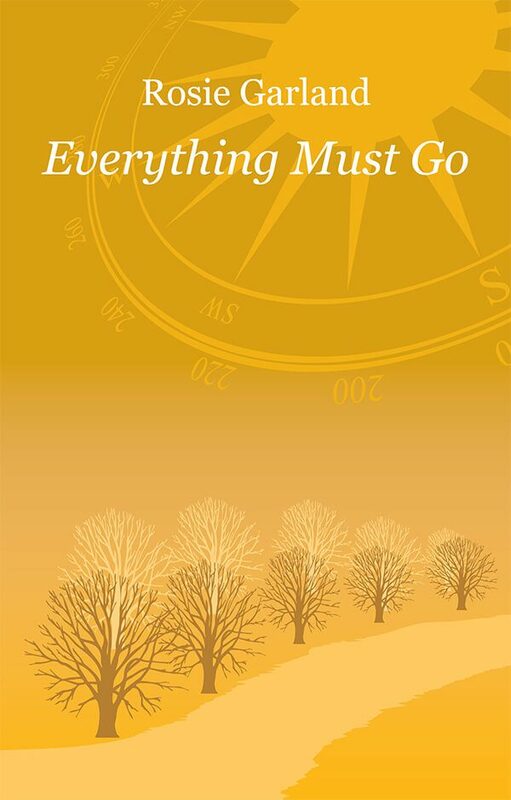 The very first London reading from Everything Must Go took place during our Christmas Party on 19 December at the Poetry Cafe. Being told you have cancer is a life-changing event. Rosie Garland, writer and performer, didn’t need any tissues when she was told, but later used poetry to come to terms with the disease, treatment and slow recovery. Her account is not at all melodramatic or tearful, but paints vivid pictures, so you can see the waiting room or the ward and feel that you’re joining her on this journey. Today, the oncologist talks me through the scan. as though bruised by a stampede of bovine hooves. Just the title of a poem can say it all: ‘My clothes are putting on weight’. Rosie is a true performer and this shines through in the poems, which have a dynamic and rhythmic beat, especially when things get tough. Most importantly, she shows how any disease – and cancer especially – attacks your humanity and more specifically your femininity. Yet the way she puts this into words is also uplifting. my body, and left me with a sack of sticks? when he asks you how you’re feeling. so hard it comes out of your nose. Acquiring the skill of throwing up accurately. You can now listen to Fortune teller, Moratorium, So long, Good behaviour, A Donor’s card & Dignity on video! You can buy Everythiung Must Go now by clicking on the ‘Buy this book’ button on this page. Your card will be debited in your local currency. Lancaster LitFest on Thursday 18 October at 1pm in The Gallery at The Dukes. Read also Michael Smaczylo blog about the Manchester event and Freya Gallagher-Jones about the Lancaster event. ‘Wow. Everything Must Go is breath-taking in its laid-bare honesty. It’s heart-breaking but Rosie is so strong in her poems. ‘Packed, Personal and Punchy… there is an accessibility here that makes this work universal… an economy of style rich in imagery and layers of meaning’ – review by Charles on Amazon.